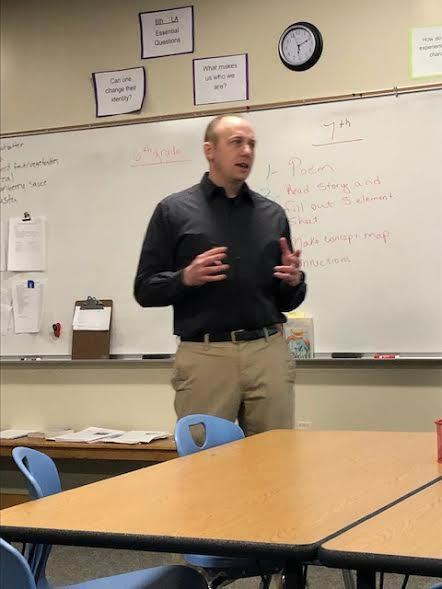 On January 23, Dr. Bill Hudenko discussed suicide and suicide prevention with parents and community members at the Lyme School. Several important points were in reference to the fact that the highest rate of suicide occurs in individuals between the ages of 18-25 and while males are unfortunately more successful at attempting suicide, females have a higher rate in attempts overall. He also outlined preventative measures to deter those who are thinking of suicide.The number one prevention is connectedness with others. Research shows that those who feel valued, cared about, and included have less risk at attempting suicide. Relationships with others is vital in providing a sense of community to all individuals, however, those with suicidal ideations greatly benefit from being part of a group and connecting with others. Dr. Hudenko recognizes that there are limited resources in terms of counseling and therapy, but spoke about the organization he is part. They will soon be offering counseling services online with "twenty of the best therapists in the Upper Valley" and at a lower cost. Lyme continues to be enriched by those in our community who provide services to help others through challenging times. Dr. Bill Hudenko is one of those resources we are fortunate to have, whose credentials include being a Licensed Psychologist, Research Assistant Professor of Psychological and Brain Sciences at Dartmouth College, an Adjunct Assistant Professor at Dartmouth's Geisel School of Medicine, and the Chief Science Officer of Voi Inc., a company dedicated to reducing national rates of suicide through advanced technology. One adult attendee said of his talk, "One of the many takeaways was assuring attendees that speaking to someone about the potential of suicidal thoughts does not "plant the idea". Asking, "Do you want to harm yourself?" and "Do you have a plan?" are exactly the right questions to ask.